Double-diameter expansion, maximum weight retention and excellent accuracy. 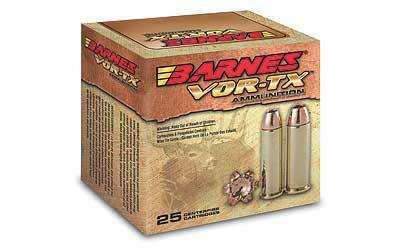 Provide maximum tissue and bone destruction, pass-through penetration and devastating energy transfer. Multiple grooves in the bulletâ€™s shank reduce pressure and improve accuracy. Bullets open instantly on contact. Nose peels back into four sharp-edged copper petals.